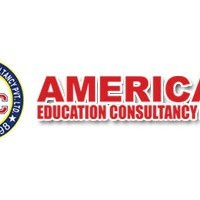 American Education Consultancy has been providing the services for the overall benefit of the students of Nepal who really have the zeal and affordability to have modern higher education at the renowned colleges and universities across the globe. It was not long ago that the students of Nepal were not quite commonly aware of where to get higher education of appropriate kind, and modern higher educational subjects are still not available at the institution of higher education in Nepal. In such an educationally demanding circumstance in Nepal there is a great need for effective counseling service at a national level to provide guidance and appropriately advise the Nepalese students, so that students who can afford to and who are aspiring for higher education abroad, can search out appropriate opportunities to study overseas. Their company’s initiative in the freshly grown up markets of international education for their students has gained an enormous success. Since, not any organization in their professional sector has ever achieved the target that they have excelled. Their success adequately has shown that they have surpasses their competitors and that is due to their sincere efforts and glaring efficiency, this has made them to find out themselves quite enthusiastic to serve much with greater efficiency and dedication so that larger number of students would be served to meet their educational goals. This, in the long run, will not only help producing fruits for the family from where they come, but also a great support to the nation to prosper. They are extremely proud to state that their services, particularly at a time when they in Nepal are very much pressed with the demands of students wishing to study abroad, are getting success especially in the American institutions of great repute. From all that they have gathered so far, they have come to realize that you have a very good institution of higher education, highly favored by the international students, particularly from the nations of the Asian region. Thus they have all the nicest reasons to assume your college to be one of the esteemed colleges in the US with the great qualities in the academic sector , its departments and the overall academic environment that your university has been providing to all those international students, with the affordable means.